Here’s a conundrum! 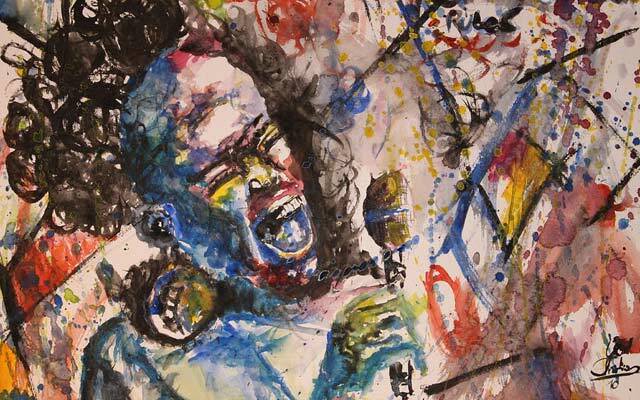 The human voice – the veritable first instrument of jazz or any genre of music, for that matter – assumes its role as a bashful second fiddle to the brass and woodwinds that practice the art. Yet it just gets curiouser. You soon realize that much about the sounds exclusive to ‘jazz’ are explained by the fact that horn-blowers have continued to imitate the sound of the human voice! A poignant example: the moaning, growling and joyful sounds of the trumpets, saxophones and trombones of the Duke Ellington orchestra. Spin any disc of the Duke’s great bands featuring Bubba Miley, Juan Tizol, Lawrence Brown or Johnny Hodges and you will know what this means. Jazz, more by accident than design, has become almost exclusively an ‘instrumental’ music, its standards and criteria deriving from the realm of ‘the instrumental’, rather than the art’s vocal, blues-based roots. So, you have the jazz instrumentalist trying to sound like the human voice, while – conversely – you find that many a jazz vocalist continues to try and handle his/her voice like a trumpet, a trombone, or – especially today – a saxophone! When did we forget the seduction of the vocalist? Perhaps we didn’t. We just got lazy and forgot what the Pied Pipers to the human soul sounded like. Or perhaps we have simply been steamrolled by the commerce of the music industry, and have found little time to hyperventilate and be swept away by a vocal set. Time was when the great voices of our music would not let this happen… When, spurred on by their epiphanies, the great vocalists stepped up and delivered their poignant jazz psalms, like arrows shot straight from the heart. We listened in awe. We were entranced. It was almost as if we were mesmerized… just like watching a sunlight dust dance. As if each word has its own special and secret music egging it on. A unique rhythmic play… an invisible kinetic energy that simply leaped out from a hidden world, caressing the voice that was wrenched from – or burst forth – from deep within the singer’s heart, and definitely not from his or her throat or lungs! 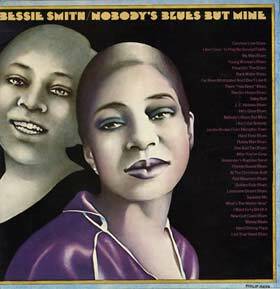 Go ahead and spin any of the discs containing the entire legacy of the Empress, Bessie Smith on Columbia. Feel the volume and sheer majesty of her voice capture the space in your heart; destroy the false sense of what you may have thought to be fictions past. For sure, the joy and pain bursts out as from an ancient well. You almost feel the soul wrenching itself away from a skin it dreads to inhabit. You can feel the hurt that many of her generation and those that continued to follow, carried like a great badge of courage through the ages, and also held up as a mirror to our societies as we went on to plunder the dignity from each other’s lives.